Owning a small business is a lot of work. Success requires long workdays, longer work nights, plenty of personal sacrifices, and a dose of financial risk. Now imagine owning three small businesses and you’ll quickly understand what kind of guy Virgle Osborne is and why he’s so uncommon. Virgle is the type of guy who likes to be in the driver’s seat – quite literally. He’s the owner of Twin Peaks Off-Road. What started out as a hobby quickly turned into a successful business that currently runs out of his garage. "That’s why I use Northwest Community Credit Union for everything personal and business. It’s nice to walk into a branch where they know you on a first name basis and help you with everything." 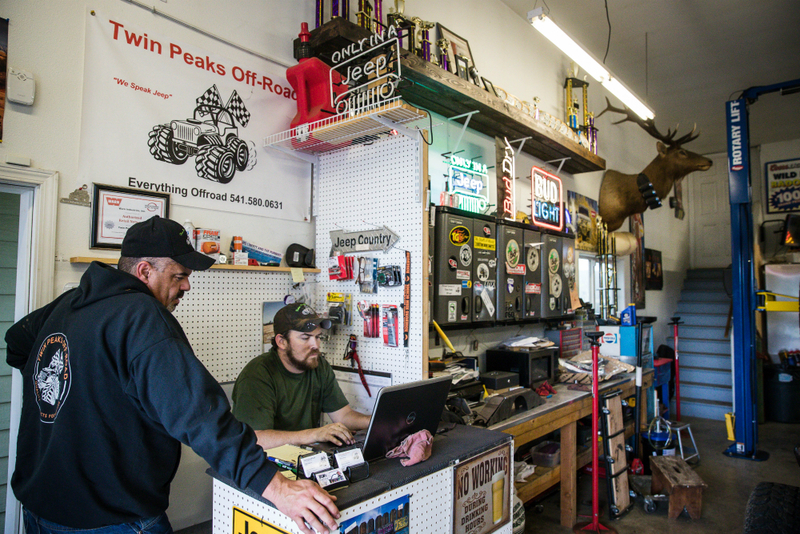 Together with his one full-time employee, Twin Peaks Off-Road builds and restores Jeeps and off-road vehicles. They also ship 4x4 parts and accessories to enthusiasts all over the country. Soon, the home-based business will need to move into a bigger location somewhere in Roseburg. He’s also the owner of Twin Peaks Management and Twin Peaks Racing. Plus, he holds down a full-time job as sales manager of FCC Commercial Furniture. For his friends and family, it’s a mystery when he finds the time to sleep. But Virgle wouldn’t have it any other way. Virgle is a lifelong resident of these parts. So, you can bet he knows the best places to go off-roading – something he’s enjoyed since his dad bought him his first 4x4. 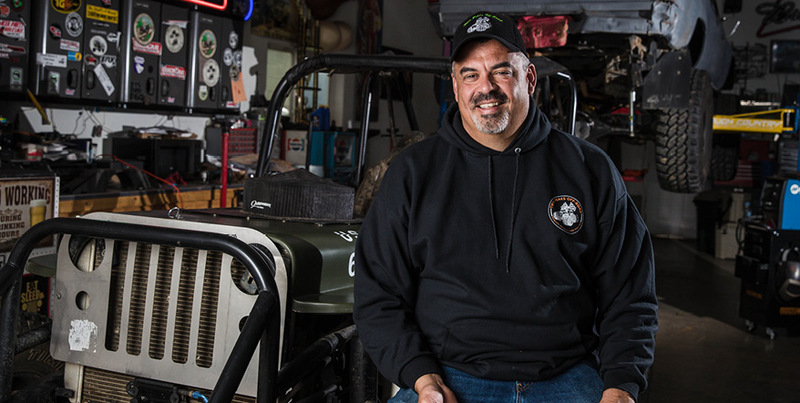 As the founder of the Facebook group X-Treme Offroaders and active member of the Pacific Northwest Four Wheel Drive Association, Virgle likes to take the path less traveled. On top of that, the organization he belongs to raise money for charities such as the American Society for the Prevention of Cruelty to Animals (ASPCA). As for his business, Virgle likes to give back locally whenever possible, sponsoring the Roseburg Renegades baseball team, the local Junior Miss Rodeo, as well as several race teams. “I love to keep things local,” he added. “That’s important. That’s why I use Northwest Community Credit Union for everything personal and business. It’s nice to walk into a branch where they know you on a first name basis and help you with everything. eBanking is great, too. It’s that kind of local-mindedness that makes the Northwest such a great place to live and raise a family. At Northwest Community Credit Union, we love uncommon entrepreneurs like Virgle. Whether he’s fueling his Jeep, running one of his three businesses, paying his employee, or buying the things he needs with his Northwest Visa® Rewards Card, it’s an honor to be part of team Twin Peaks.